Sports massage increases joint mobility, relieves tightness and increases flexibility. It can be used to break down scar tissue and free adhesions in tight or injured muscles. Massage provides benefits of soothing muscles, acting as a stress reliever by reducing anxiety, but can also be used as a stimulator, preparing muscles for activity, increasing blood flow and endorphin release. Massage is particularly beneficial post exercise, the action of tissue manipulation causes increased blood flow to the area, increasing oxygen and nutrients to the muscle to reduce DOMS, promoting removal of waste products. In cycling the upper body is extremely flexed. The lengthening of the upper back muscles and shortening and tightening of the chest muscles can lead to long term soreness and injury. 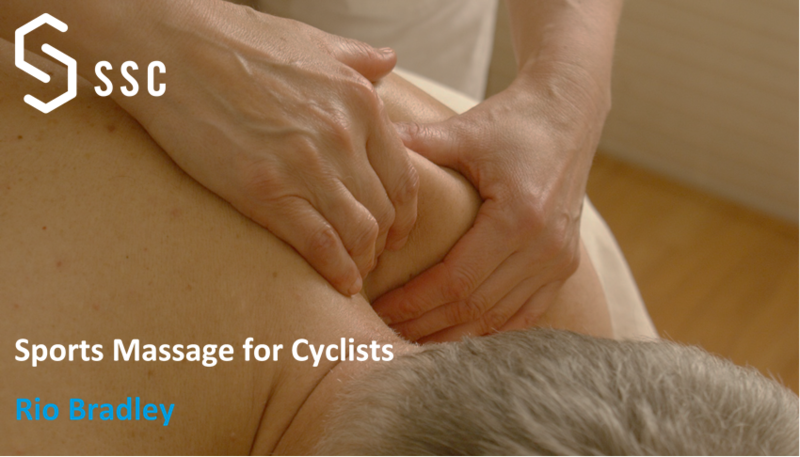 Massaging muscles before cycling increases flexibility and prepares muscles for movement, after exercise massage can relieve tension, tightness and aid recovery. Hamstrings are slightly shortened when cycling, not only can this cause tension in the hamstrings themselves but can lead to tightness in the lower back. Massage can relieve tensions and adhesions that have built up by repetitive stress and lack of stretching. Finally poor bike fit can lead to injuries and soreness, the repetitive nature and long duration spent in this position can lead to repetitive stress and overuse injuries in ankle, knee, hip and shoulders. If you would like SSC services for any soft tissue massage or information regarding this article please contact the team.